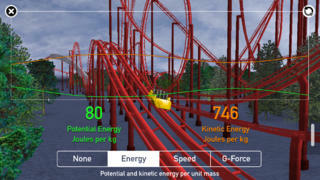 An app that combines the thrills of a roller coaster ride together with the science that makes it happen. See how speed, energy and g-force are affected by loops, corkscrews and vertical drops. For those engineers in the making, design your very own coaster the way you want it. For that extra bit of realism you can even view it all in 3-D! Used by educators everywhere to bring motion Physics to life in the classroom, Coaster Physics returns with a massive revamp for iOS 7 and for today's iPhones and iPads. What are the laws of Physics governing the motion of a roller coaster? How are speed and acceleration related? How does the g-force change at different points along the track? 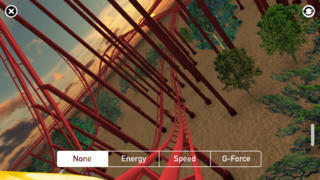 Design and ride your very own realistic roller coaster, and see how quantities like speed, acceleration, energy and g-force change as you ride along the track. • Contains both the iPhone and iPad versions of the app. 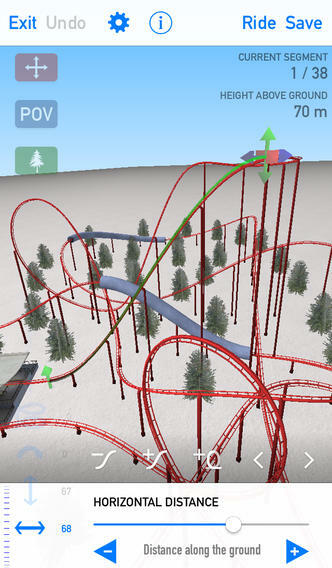 • The amazingly powerful track editor lets you create and ride just about any roller coaster track you can dream of. You can never have too many zero-g rolls! • Easily share tracks via email, iMessage or AirDrop (on supported devices) to simplify collaboration between students and educators. • Ride your roller coasters in eye-popping 3D using any pair of old school comic book 3D glasses.